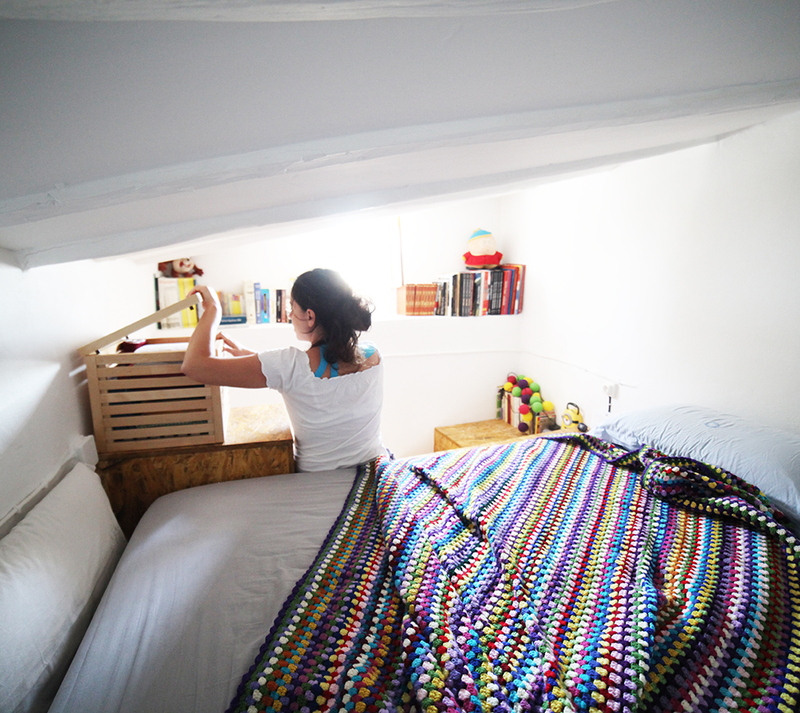 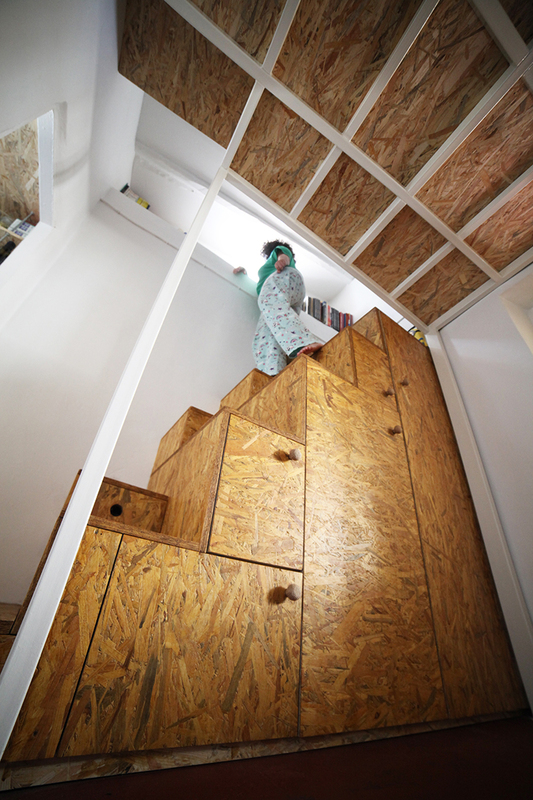 construction: Bed loft with storage staircase (drawers and cupboards of various sizes). 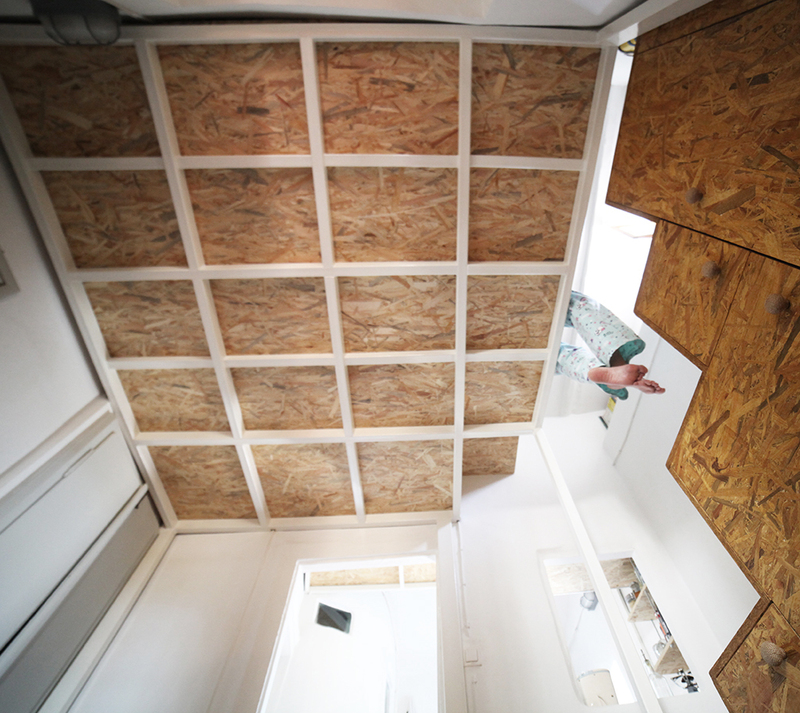 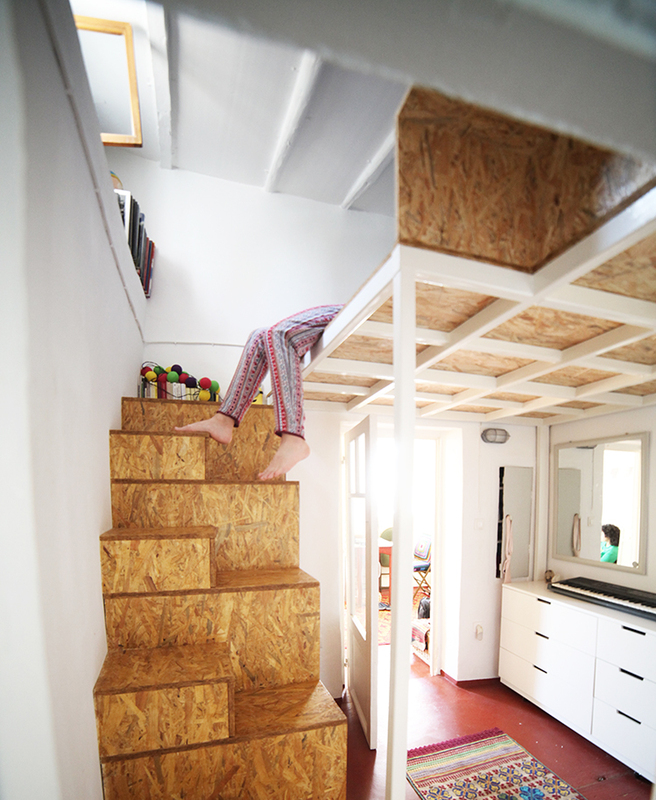 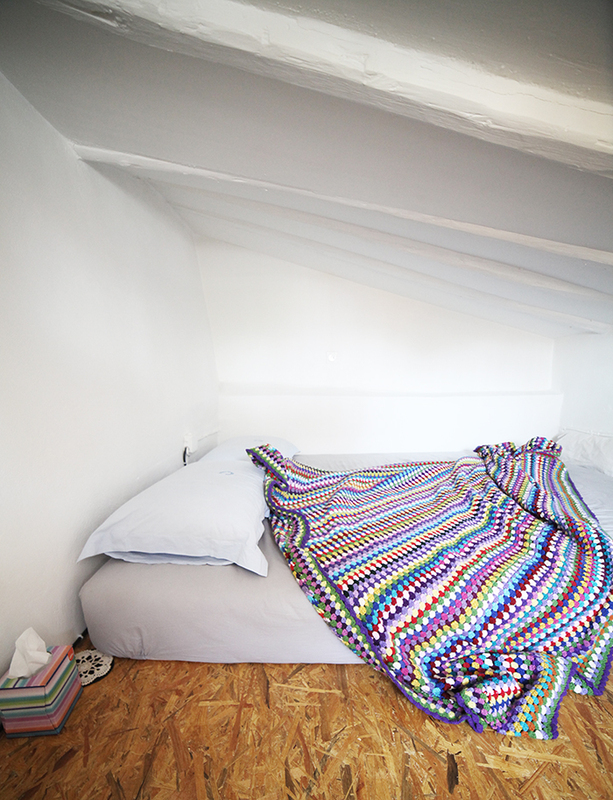 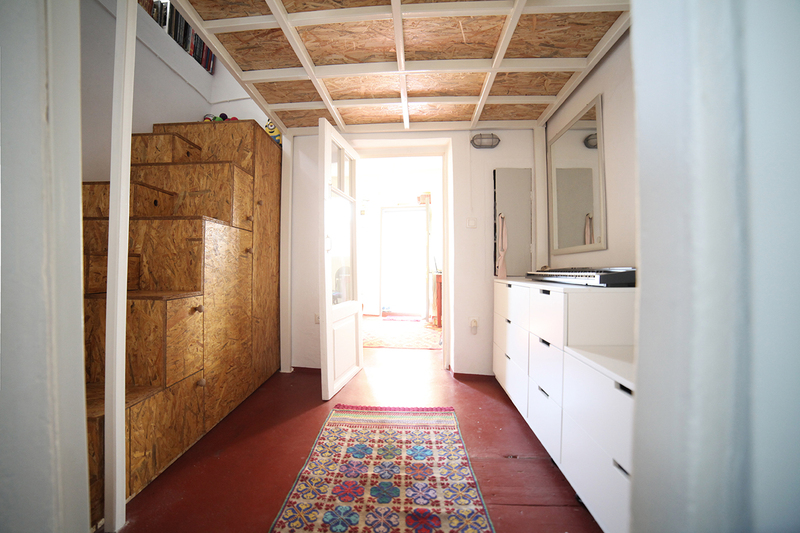 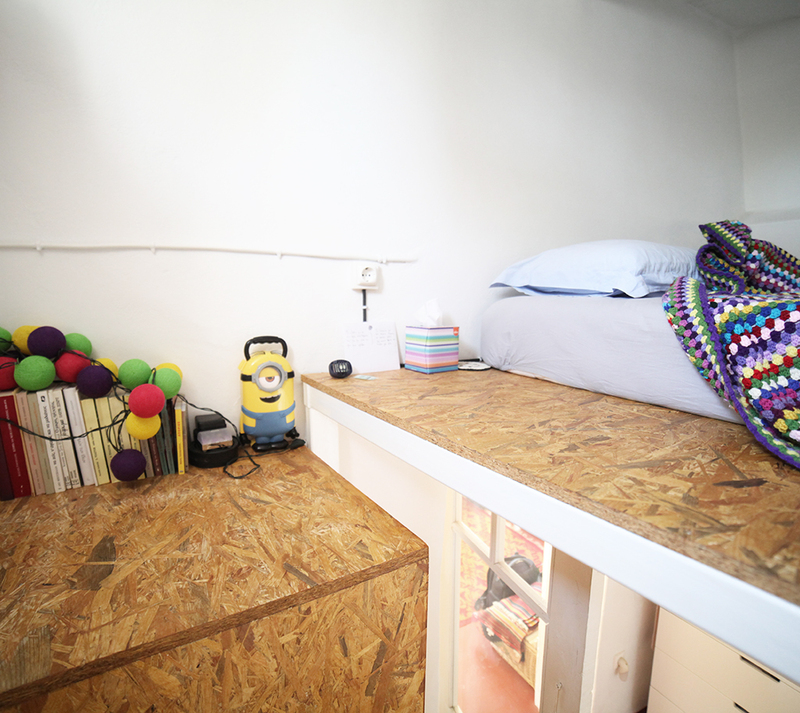 materials: Metal bed loft coated with OSB (oriented strand board) 18mm thick. 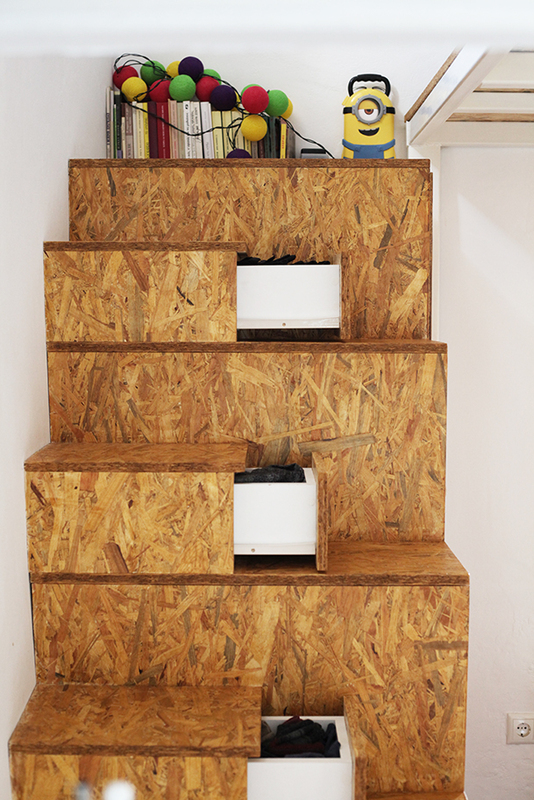 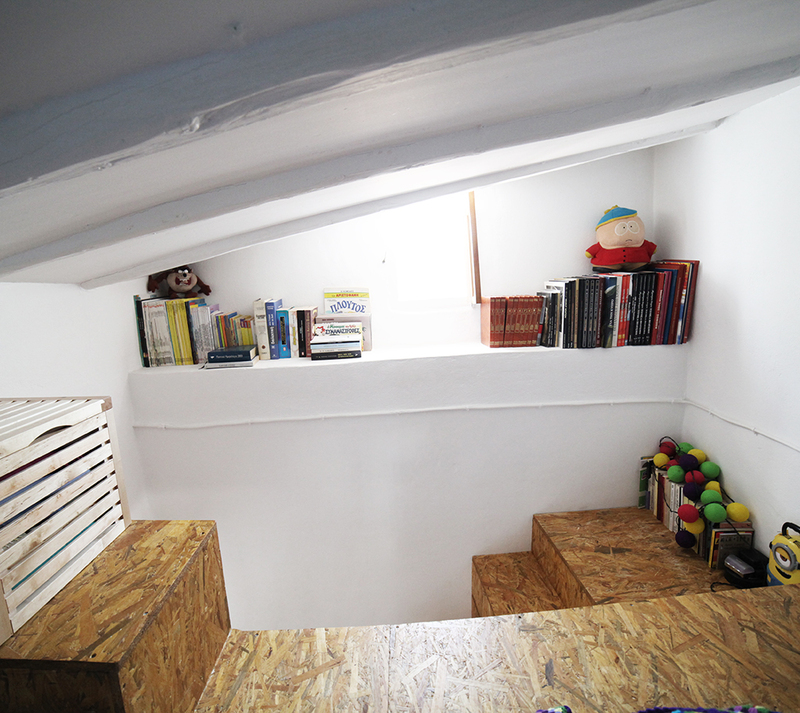 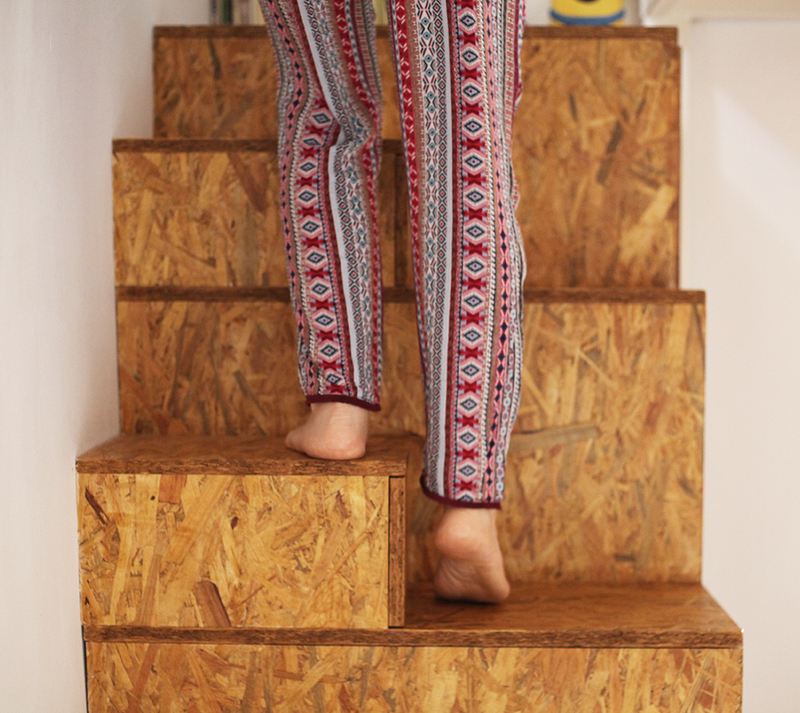 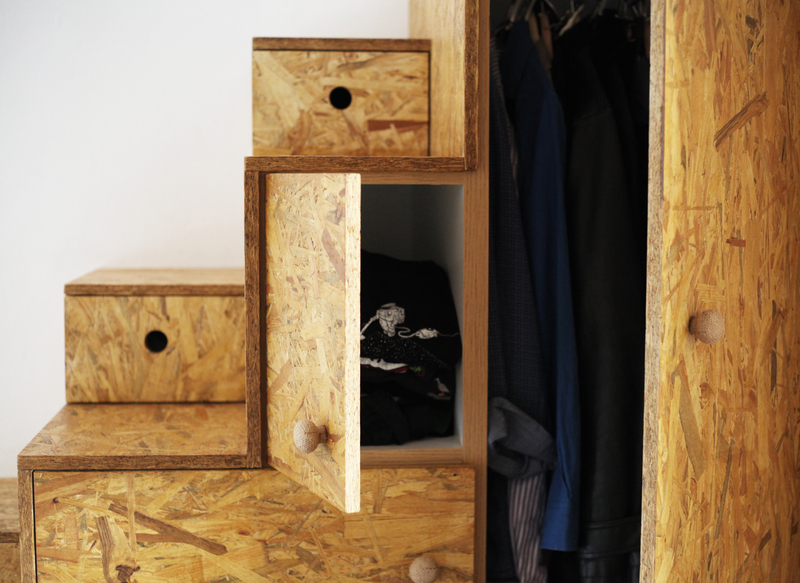 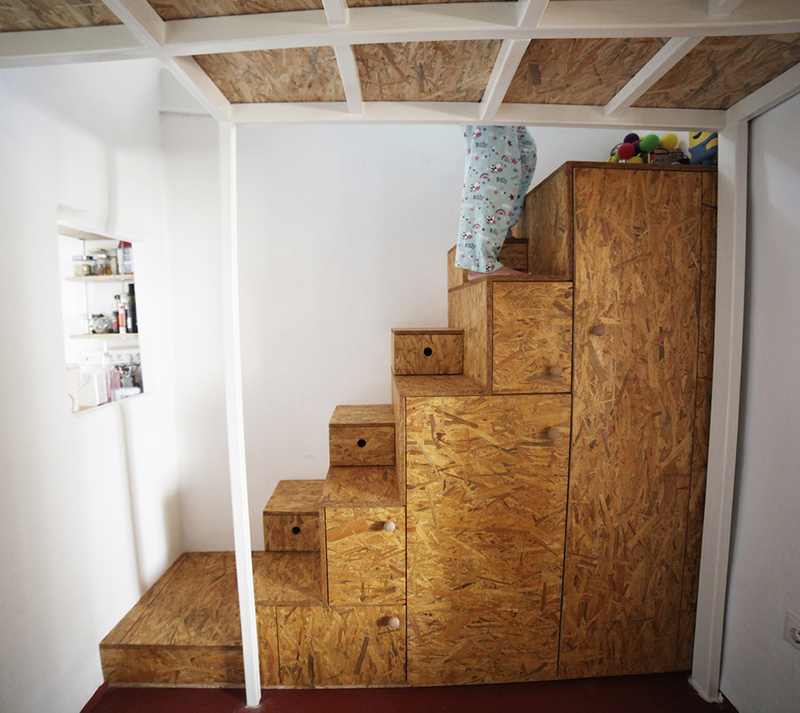 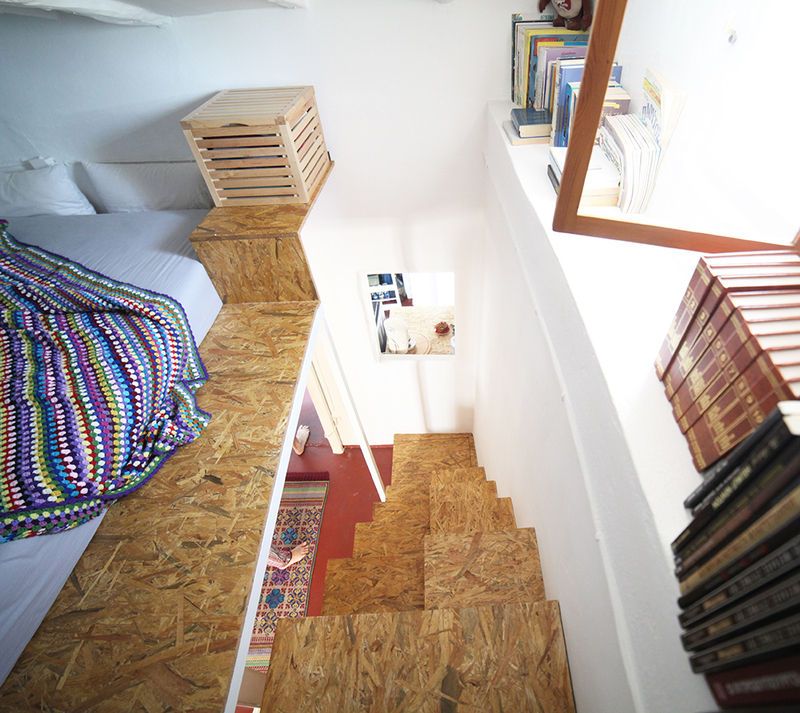 Storage staircase made of OSB (oriented strand board) 18mm thick, construction of the interior of the storage space with white melamine.